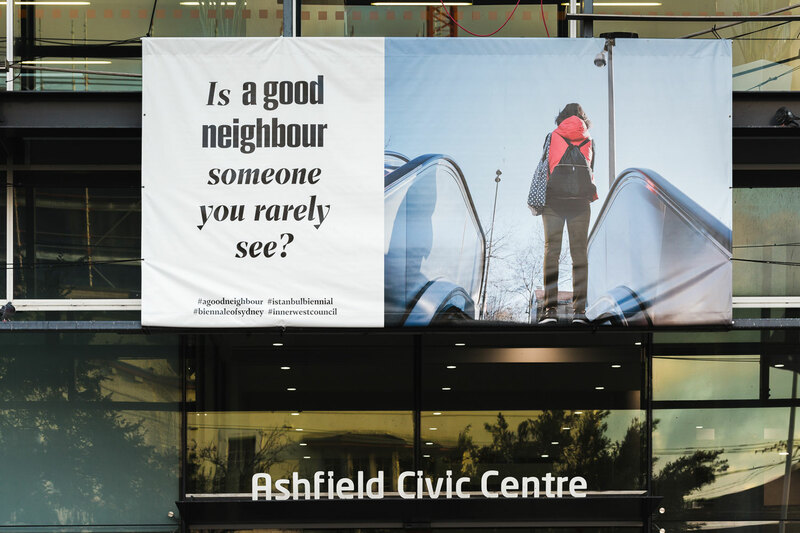 A series of billboards across 12 sites in Ashfield, Carnes Hill, Liverpool, Marrickville, Newtown, Parramatta and Sydenham. 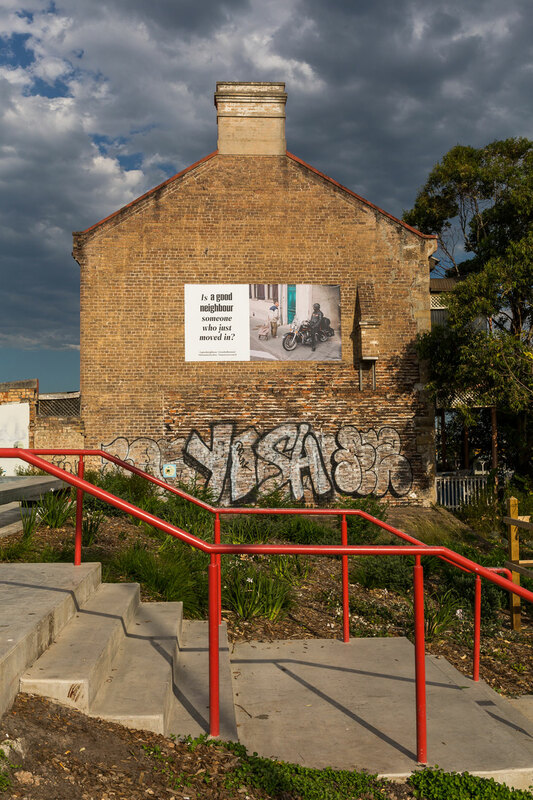 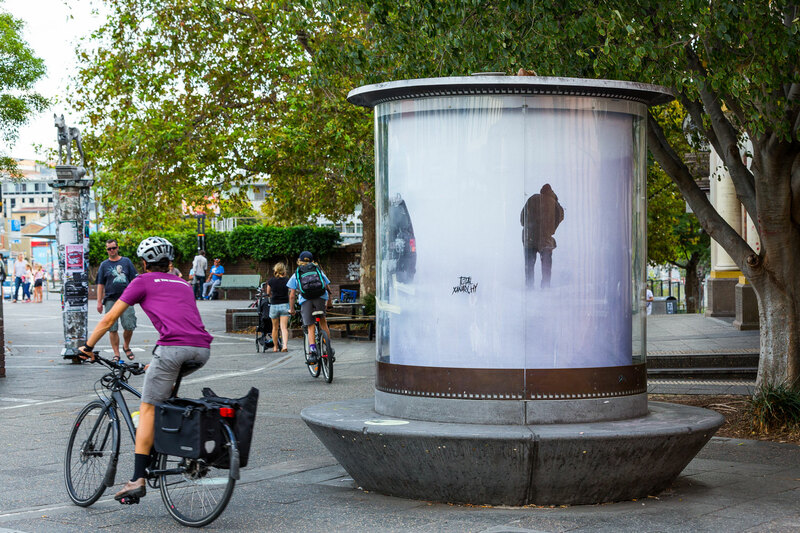 For the 21st Biennale of Sydney, a series of billboards featuring photographs teamed with provocative questions are installed across 12 sites in Ashfield, Carnes Hill, Liverpool, Marrickville, Newtown, Parramatta and Sydenham. 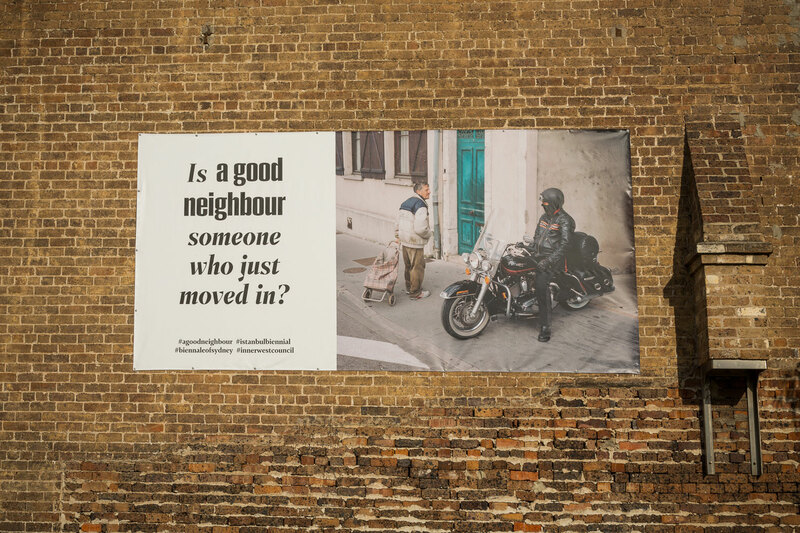 Forming part of an international billboard project, a good neighbour, the billboards take up a discussion initiated by artist duo Elmgreen & Dragset, curators of the 15th Istanbul Biennial (2017), also named ‘a good neighbour’. 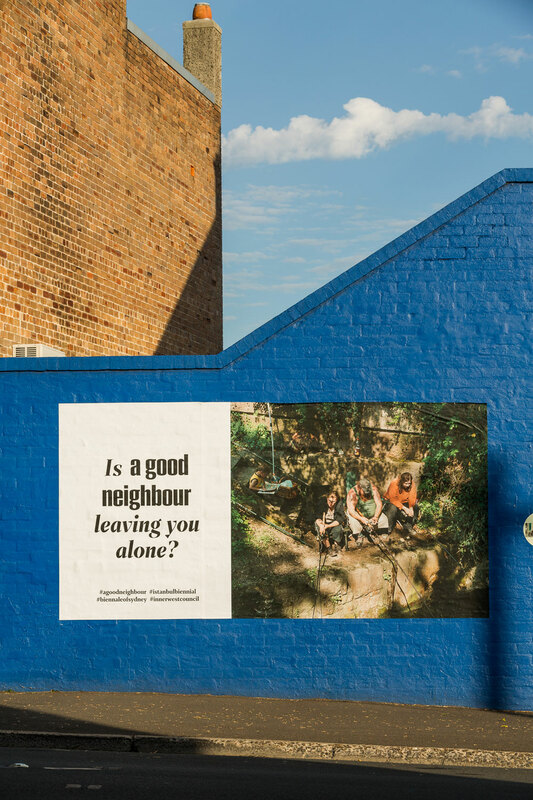 Sharing ambitions with the 21st Biennale of Sydney, a good neighbour invites us to reflect on what a local situations can say about a larger, interconnected world, and suggests that the challenges of co-existence might begin to be overcome by dialogue between individuals. 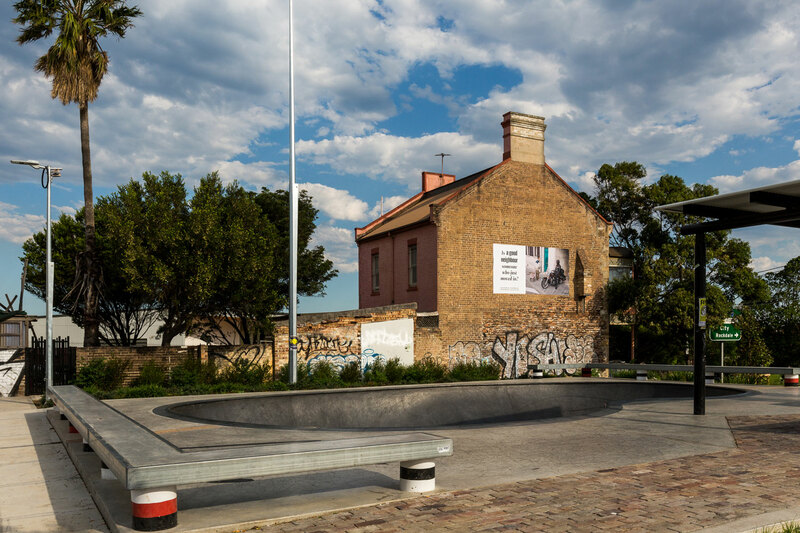 This project was initiated as a collaboration between Elmgreen & Dragset, graphic designer Rupert Smyth and artist Lukas Wassmann. 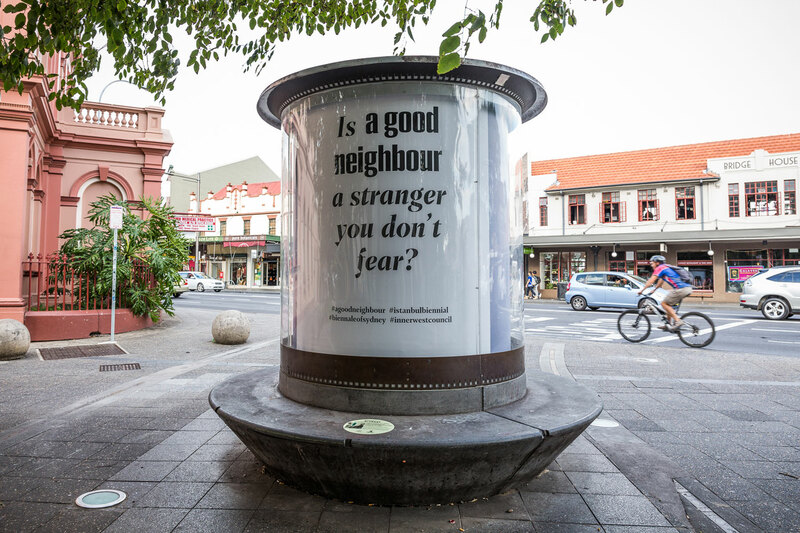 Sydney joins a chain of cities reflecting on these questions, including Limerick, Belfast, Moscow, Chicago, Milan and Seoul. 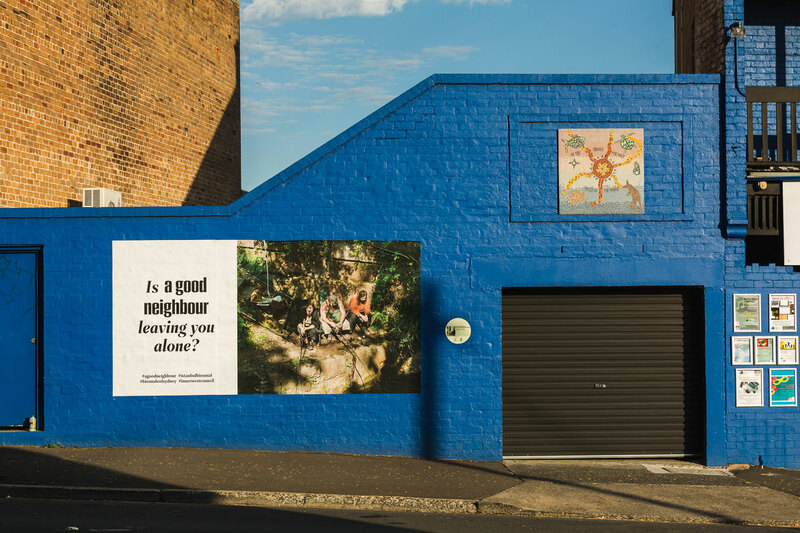 The Sydney billboards have been produced in partnership and with thanks to the Inner West Council, City of Parramatta and Liverpool City Council. 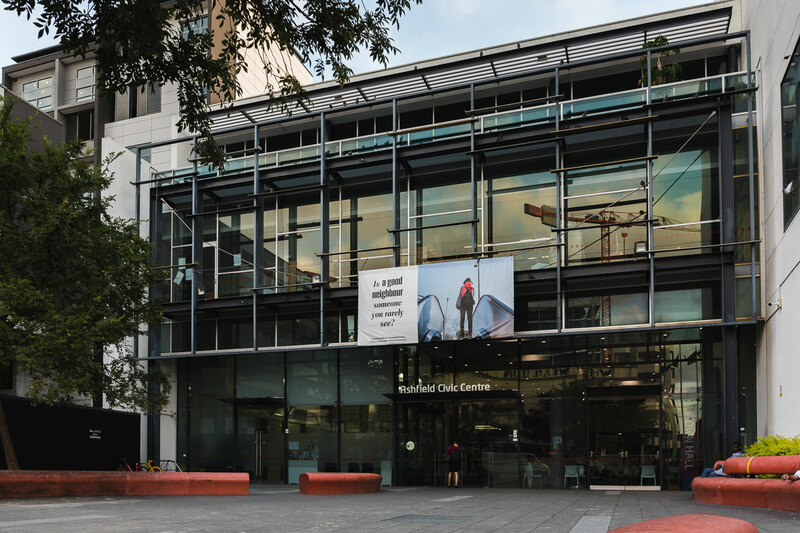 Eat Street Car Park, 30 George Street, Parramatta: view from Erby Place and Horwood Place.